Have you heard of Queen Elizabeth 2? Not the queen herself, but the cruise ship? 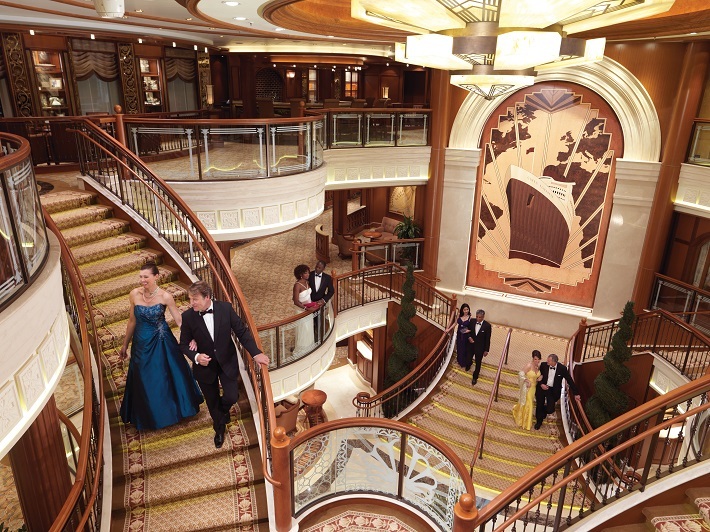 QE2 was a Cunard vessel that changed the face of the cruising world 50 years ago this month. Billed as a British ‘style icon’, this luxury cruise ship became one of the most famous liners in the world before her reign came to an unceremonious and lonesome end. To coincide with QE2’s 50th birthday, we have charted her history from birth on the Clyde to doomed retirement. Queen Elizabeth 2 was one of the last large passenger ships to be produced on the Clyde, and she wore that badge of honour with pride. Adverts declared that, ‘The only thing QE2 has in common with other ships is that she floats’; a proclamation of luxury and elegance that, for once, lived up to the hype! At 963 feet long and a cost of £490 million in today’s money, this Cunard cruise ship carried five restaurants, two cafes, three swimming pools, a 481-seat cinema, a hospital and a casino. She completed more than 800 transatlantic crossings in her lifetime, and even became a war hero when she was drafted into the Falklands War as a troop ship. QE2 was christened on 20 September 1967, when more than 30,000 people lined the streets of Clydebank to admire the marvel of engineering and catch a glimpse of the Queen and Prince Philip. Perhaps the most iconic cruise ship godmother of all time, Queen Elizabeth II gifted the vessel her name before QE2 sailed a maiden voyage to New York. Her luxurious voyages and unusual style made her a firm favourite with cruisers the world over, and when she assisted in the Falklands War, her reputation grew even stronger. QE2 was stripped and fitted with three helicopter pads. Her lounges were transformed into dormitories, and the vessel carried more than 3,000 troops to the South Atlantic. Despite her popularity and reputation, no profit was made from QE2, and the John Brown’s shipyard, where she was built, ran into trouble. 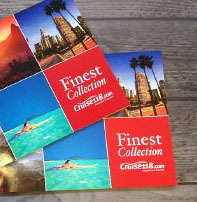 The rise in popularity of transatlantic travel and an increasingly competitive cruise market also meant that QE2 was rapidly becoming obsolete. Unfortunately, both Queen Elizabeth 2 and John Brown’s faded into obscurity. In 2007, it was announced that QE2 would be sold to Isthimar, a government investment company in Dubai, for £50 million, with a view to turning her into a luxury hotel. She sailed her final voyage around the UK – making one last visit to her birthplace on the Clyde – before retiring to Dubai on 11 November 2008. So, what has become of Queen Elizabeth 2? Isthimar’s luxury hotel plans were still in place as recently as 2012, but as of today, the doomed vessel remains moored in Dubai with no decision on her future. It is a tragic end for such an iconic ship, and we’d love nothing more than her 50th anniversary to spark a new wave of interest. Only time will tell. 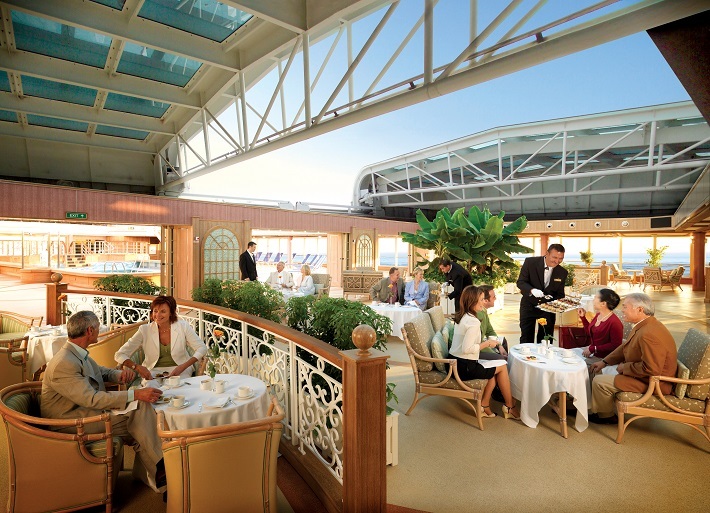 For now, Cunard still retains three stunning luxury cruise ships that hark back to cruising’s heyday. 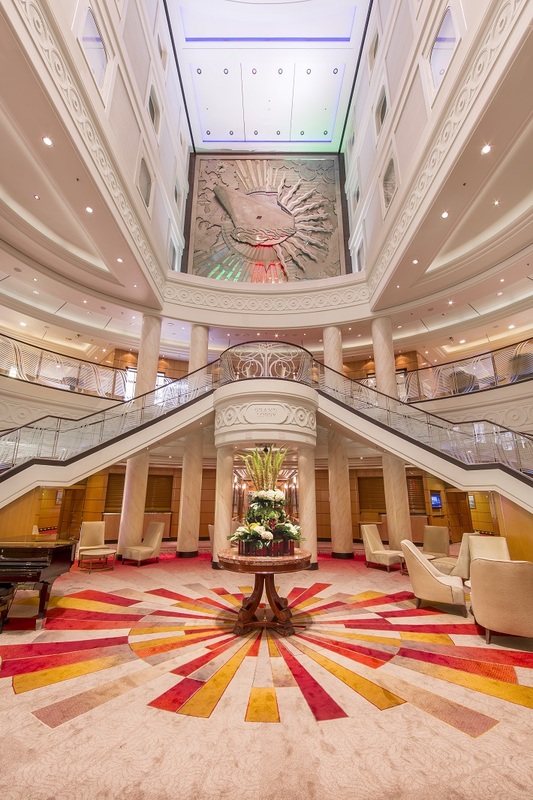 Queen Elizabeth, Queen Mary 2 and Queen Victoria are all jewels in the cruise line’s crown, offering a traditional elegance and sophistication you simply can’t find anywhere else. There is nothing like a Cunard cruise – a breath of fresh air and gentle whisper in an industry full of voices shouting to be heard.